- Agriculture Economics & F.M. Situated in the Centre of Madhya Pradesh and named after the architect of modern India, Jawaharlal Nehru Krishi Vishwa Vidyalaya (JNKVV) has a constituent, College of Agriculture at Jabalpur. The city, Jabalpur is known for its cultural heritage, historical events, natural landscape and tropical forest reserve. It is one of the seven agricultural colleges of the University, established by Government of India with the assistance of Government of Madhya Pradesh, based on the recommendations of Radha Krishnan Commission (1949). The College is located about 7 km North of Jabalpur town on the National Highway No.7. 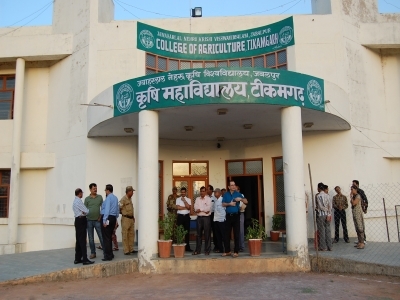 The College of Agriculture was inaugurated by Pt. Ravi Shanker Shukla, the then Chief Minister on 20th July,1955. The old building of the College is still preserved in Krishi Nagar, Adhartal, Jabalpur. The foundation stone of the new building was laid down by Dr. Kailash Nath Katju, the then Chief Minister, on 18 December 1957. The building of the College was inaugurated by Pt. Jawaharlal Nehru on 12 July 1961. Smt. Indira Gandhi, the then Minister for Information and Broadcasting, inaugurated the University Jawaharlal Nehru Krishi Vishwa Vidyalaya, on 20th October 1964. Pt. Shree Kant Mishra was the first Principal (1955) while Dr.R.M.Sahu is the present Dean of the College. Rewa is situated at the latitude of 24° 30 N, longitude of 80°15 E, 306.06 m above from sea level and one kilometer from NH-7. Rewa comes under Kymore Plateau and Satpura Hills Agro climatic zone IV of Madhya Pradesh. Rewa, the capital of old Vindhya Pradesh before inception of Madhya Pradesh is famous globally as homeland of “White Tiger”. 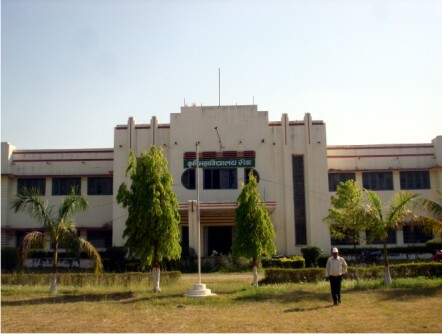 College of Agriculture, Rewa is one of the oldest college started in 1952 administratively linked with Darbar College, Rewa, Foundation stone of College of Agriculture, was laid down on 21st October 1952 with the sanctioned amount of Rs. 95,000- by erstwhile Shri Kailash Nath Katju (Home Minister). It is completed in 1954 by Rs. 88500- and inaugurated by hon’ble deputy Governor Vindhya Pradesh Shri Kasturi Santhanam on 26th January 1954. Shri R.C. Sharma was the founder Principal of College of Agriculture, Rewa. Who has completed the College building by “Shramdan” of students and staff member and saved (Rs. 9500-Rs. 88500=Rs. 6500) Six thousand Five Hundred in 1954. 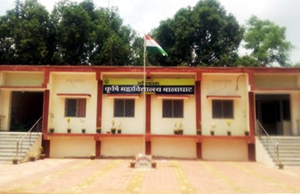 College of Ganjbasoda is the first College of Agriculture in the state of Madhya Pradesh established in the year 2007at Tahsil place. It shoulders the responsibility to provide Bachelor degree in agriculture with intake capacity of 50. Since, establishment four batches have receive the degree. In the current year out of 36 outgoing students seven have qualified for Junior Research Fellowship. With the optimum strength of teachers, the college is also actively participated in the field of extension especially with the excellent programme of the Government of Madhya Pradesh ‘Krishi Mahotsav’. The College has started basic research on wheat, soybean and chickpea as these are the most important crops of the district. 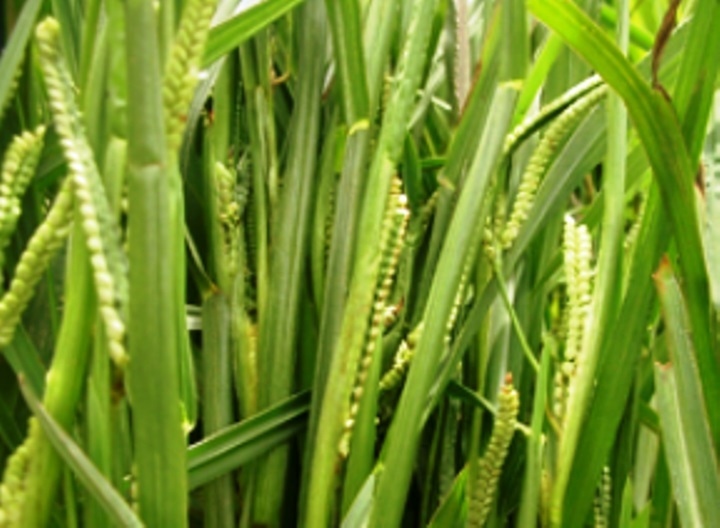 Tahsil Ganjbasoda is known for rianfed wheat with maximum number of tractors. Therefore scientists of agricultural engineering are giving focus on mechanization and soil and water conservation. Historical development background:- The College of Agriculture, Waraseoni is situated at state highway number, 4 km away from Waraseoni towards Lalbarra on Regional Agriculture Research Station (RARS). 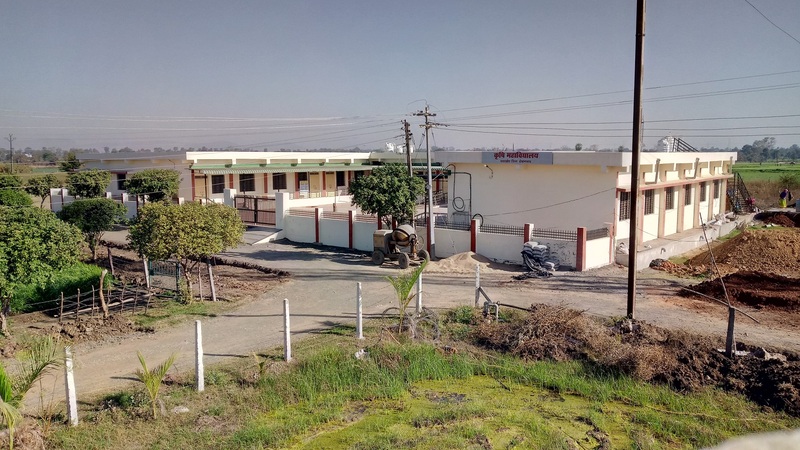 As per revenue record RARS, location is in Newargaon Village but is popularly known as Murjhad Farm because it is very near to Villege Murjhad. Geographically its altitude, Longitude and Latitude is 301.5M, 80°50’E, 21°45’N respectively. In opening of the College, H’able Minister Shri Gouri Sankarji Bisen played on important role. In joint public meeting held by Chief Minister Shri Shivraj Singji Chouhan and Minister Shri Gouri Shankar Bisen at Balaghat ground, the announcement was made for opening of College of Agriculture. The action memorandum and DPR were prepared by high power committee of JNKVV in the chairmanship of Dean Faculty Dr. S.S. Tomar with the members Dr.S.D. Upadhyay, Dr. T.R. Sharma and secretary DSW, Dr. P.K. Bisen and submitted to Govt. of Madhya Pradesh. The stone foundation of College building was celebrated on 23012014, vikram samvat 2070 magh Krishna tithi 7 by H’able Chief guest Nitin Gadkari’, ex president BJP in the precious presence of H’able Vice-Chancellor, JNKVV Prof. V.S. Tomar, Jayant Maliaya, Finance Minister, M.P. Govt. Brijmohan Agrawal, Agriculture Minister Govt. of C.G., Gouri Shankar Bisen, Agriculture Minister, M.P. Govt. and other dignitaries. Agricultural Engineering College, Jabalpur was established in the year 1966 under the Faculty of Agricultural Engineering, Jawaharlal Nehru Krishi Viswa Vidyalaya, Jabalpur (M.P.) to offer B-Tech (Agri. Engg.) programme. The college also offers M.Tech and Ph.D (Agri .Engg.) programmes with specialization in Soil and Water Engineering, Farm Machinery Power Engineering and Post Harvest Process Food Engineering. Most of the graduates from this premier college are employed in Indian Institute of Technology, National Institute of Technology, State Agricultural Universities, Research and Developments institutes like Indian Agricultural Research Institute (IARI) New Delhi, National Institute of Hydrology (NIH) Roorkee, different Banks of the country and Tractor Micro-Irrigation companies also Entrepreneurship. The college has well qualified and experienced staff involved in Teaching, Research and Extension activities in various facets of Agricultural Engineering. Four AICRPs are being operated i.e. Ground Water Utilization (GWU), Post Harvest Technology (PHT), Farm Implement and Machinery (FIM) and Agro metrology. The staff has completed a number of externally funded Projects, Revolving Fund Projects, Testing and Custom Hiring of farm Implements projects. Recently, two M.Tech students have got admission for Ph.D. degree program in University of Queensland, Australia, and Griffith University, Australia. College of Agriculture, Powarkheda With an approach to narrow down the gap between recent technology and adoption, looking to the specific need of farmers of Central Narmada Valley Agro Climatic Zone, college of agriculture, Powarkheda was established by the JNKVV on April 2016. 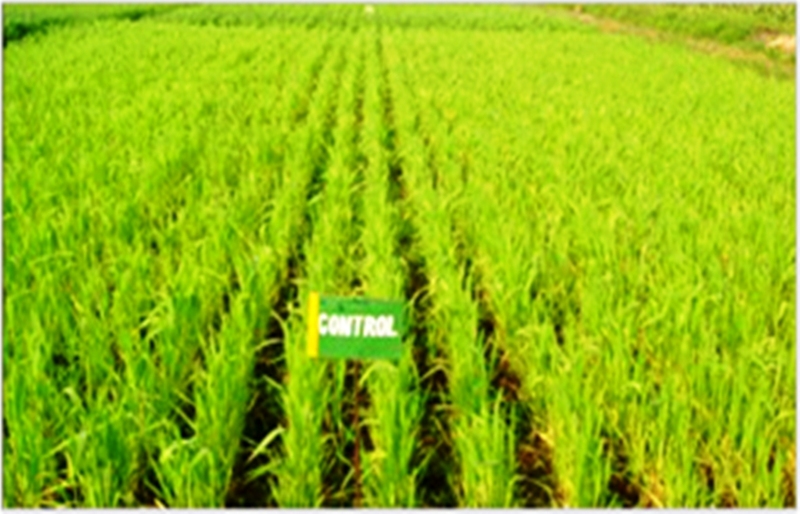 The Agro Climatic condition of the zone was suitable for the cultivation of irrigated wheat, soybean and scented basmati rice varieties with record average yield of 45qha for wheat. The best deep black fertile vertisol with high ground water level and well laid out canal irrigation though Narmada Tawa depicts the irrigation potential of district. The chain of warehouses at Hoshangabad providing good grain and seed storage facilities to the farmers is the strength of the district. In order to fulfill the need of the human resource for meeting the future challenge of the district, JNKVV established College of Agriculture, Powarkheda on June, 2016. The College is located on National Highway-69, about 13 and 9 km from Itarsi and Hoshangabad respectively. The physical infrastructure development of college is in its initial stage. The college offers bachelor degree programme viz. B.Sc. (Ag) with faculty strength is as per norms of ICAR. There are 25 Assistant Professors from 11 departments and one sports officer and one Assistant Librarian. All the students and financial activity are digitized. Since inception of college two batches are admitted with 47 and 44 students in B.Sc. (Ag) 1st and 2nd year.